This is final update to the Journey To Dream Cancel Cup ranking standings. PlayKOF points and ranks have been updated from the month of February and any leftover or unreported activity from January! We have the top 16 players on our standing pages! All players are listed on our full standings page! Check them out to see how many points you have racked up so far throughout the season! 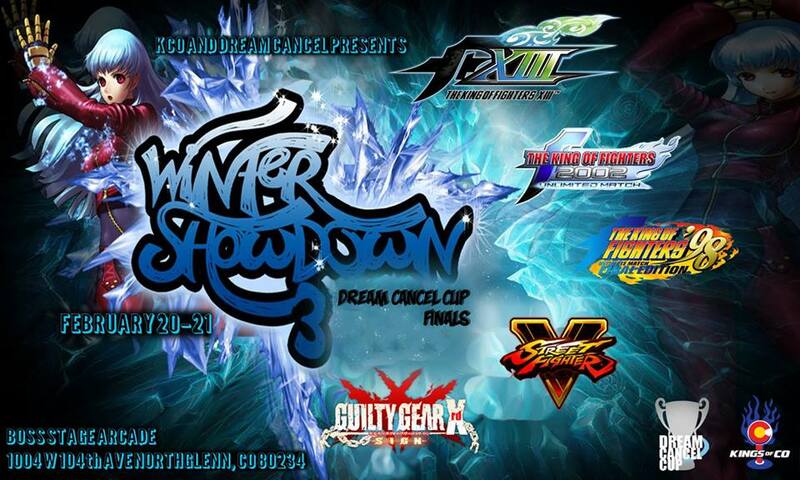 The Dream Cancel Cup Finals will be held THIS WEEKEND at Winter Showdown 3 in Colorado, hosted by Kingsofco! Thanks and shoutouts to all the players and events who participated in our first tournament circuit!